As I eye the bouncing young dog in front of me I silently wonder, will he ever learn the dance? Will he ever be able to be still enough to do the 5 minute, handler out of sight long down? Will he have the smarts to figure out the concealed odor concept and pair that with the final trained response to the point that it is an automatic behavior? Will he be able to control himself riding on an airplane? The first month I spent teaching him to bark, the second month was spent trying to get him to understand when to bark and when not. The third month was spent wondering if I had made the right decision to take him on as a new working dog prospect. Now this is not my first dog, it’s not my first working dog, but it is the first time I have met this dog. This dog and his specific genetics, the specific way he was handled as a pup, the specific things he was exposed to and whether they were good or bad experiences. It’s the first time I have interacted with him with all my preconceived notions of what he should know by now and how he should handle situations. So, with a deep breath and a few tentative steps I start the dance, the young dog steps on my feet and I step on his, its awkward and uncomfortable at first. At some point, I try a different dance, maybe a little polka instead of a waltz. I don’t know why, perhaps it was the mood I was in, perhaps something deep inside told me I should change. Suddenly, we’re dancing! Its not pretty, its not graceful yet, but there is something there. A connection, an understanding and a level of trust that I had previously felt was unobtainable with this dog. It took finding the right dance that we could both understand, and then practicing that dance – that delicate balance of science and formal training, with the art, grace and beauty that comes with knowledge, strength and experience. For me most recently it was a blue merle border collie. The dog and I had been together for over a year and every time I felt we were making progress, a trip out on the dance floor would prove otherwise. As the stress and pressure increased the few dance steps we had mastered fell apart. I had taught him like I had taught all that had gone before him, what was the problem? The turning point was when I was looking through his training records to find good things to include in the advertisement I was placing to find him an alternative home. I started seeing a pattern. He wasn’t the problem. It was me! He had been consistent from day one, he had always been doing a polka. I had been blindly doing a waltz and getting more and more annoyed when he was off beat and out of place and looking like he knew nothing. I tell you all of that to remind you of this, dog training is a dance. A beautiful choreographed dance, based on standard, proven, principles. But it is also an art, it requires the ability to step outside of the norm and adapt to the situation. If you are too rigid with the rules, you will never get past the first few lessons. If you ignore the rules it becomes abstract with no foundation and no meaning or direction. Training rules are important but being willing to change the music and learn a different dance for each new dog, maybe even each new situation, is just as important. One style may fit many but someday you will find it will not fit all. Sally grew up with working dogs on a sheep farm in Northern England and was greatly influenced by her father who volunteered for many years with the Mountain Rescue team. After moving to the USA and settling in Northern Ohio in 1997 she joined the local Fire and Rescue department and trained her first search canine working with local agencies and ultimately joining Ohio Task Force 1 as a canine search specialist. Now based out of northern Virginia, she is a career firefighter paramedic with Fairfax County FRD. 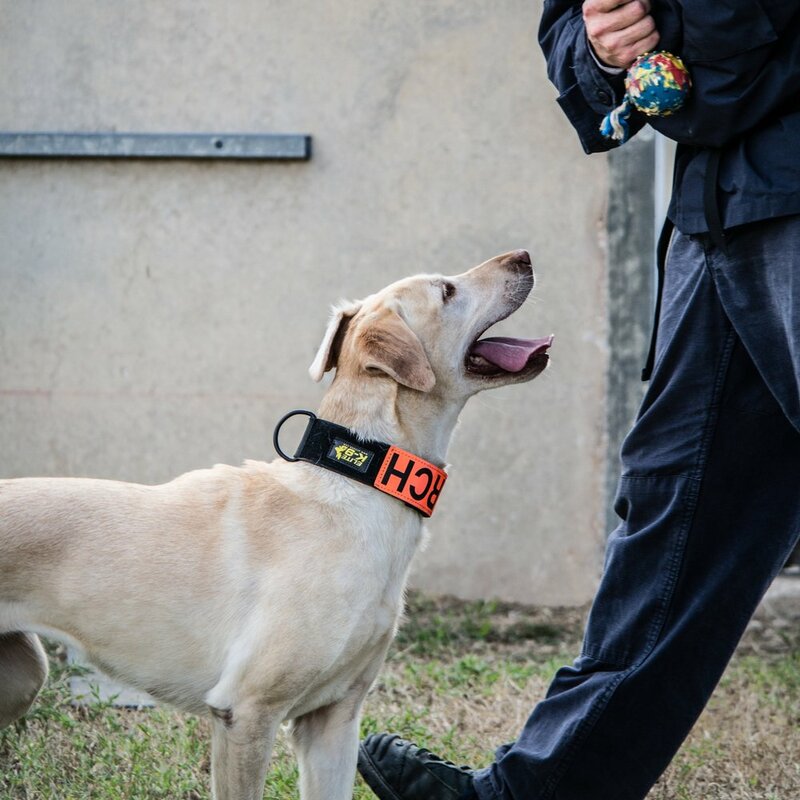 As a uniformed member of Virginia Task Force 1 her primary specialty is a canine search specialist, with secondary positions as a Rescue specialist and a Technical Search Specialist. Sally is also an operational member and the training officer for Virginia Search and Rescue Dog Association, a wilderness air scent search and rescue team. When not on searches locally or deployment with VATF1 she teaches for various organizations and groups including the Commonwealth of Virginia Search and Rescue program. The science behind animal behavior and the wellbeing of working dogs is a passion for Sally. She is a graduate of the KPA Professional Dog Trainer program, University of Tennessee Certified Canine Fitness Trainer and the University of Washington Animal Behavior program.